Mobile Mechanical New Air Compressors line. Welcome to just a little bit of information about our new equipment sales. We work with some of the best names in the air compressor world. Names such as Quincy, ELGI, Sauer, Champion. We also have many different types of air tanks from Manchester Tank, air compressor separators from DropOut, hoses & reels from Reelcraft, and sand blast equipment from Clemco. Our line of Automotive equipment is just as impressive. We sale automotive lifts from Challenger lifts, alignment equipment from Corghi and lubrication systems from Balcrank. No matter who you are or what type of equipment you currently use, Mobile Mechanical Services can help you with the purchase or lease of new equipment. Not only do we sale and lease new equipment, but we also repair equipment from any manufacturer and if we can not repair it, then we can offer you something of equal or better quality. If you have a upcoming project or you need to replace your current compressor, please do not hesitate to contact us today. If you need a quick quote on a new piece of equipment, please take a minute to fill out our "Quick Quote" form by clicking on the picture or link below in the red area. 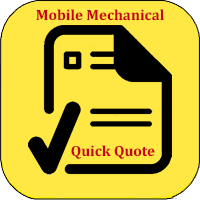 Mobile Mechanical realizes that when you need a part or service, you need it ASAP! So we have installed a quick quote system. All you have to do is click the link below or the picture to the left and you will be taken to our quick quote system. We usually try to respond to all of our requests within a few hours.